NOT happy with my Starbucks Refresher drink today. What’s it take for a gal to get good fruit around there? Brad’s wife would have gotten me fresh limes. 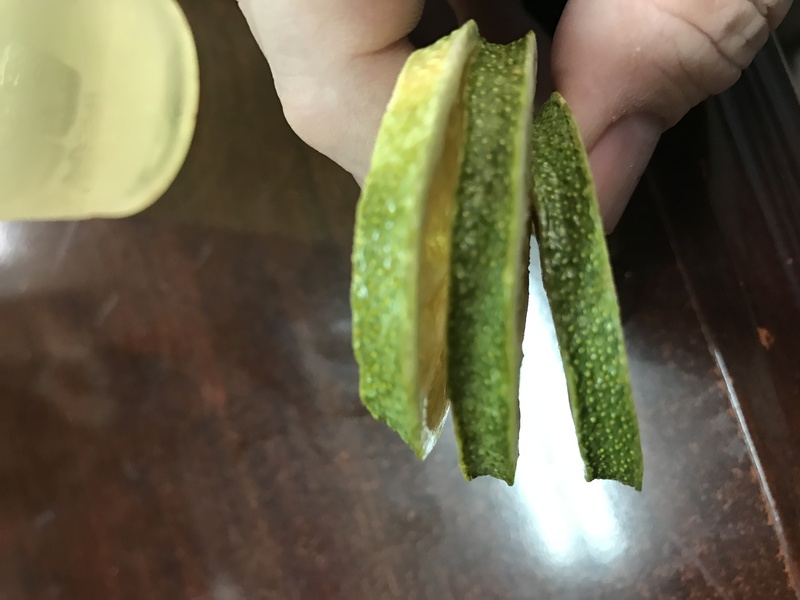 Here is a side view of the lime slices. See how curled the edges are? OLD.